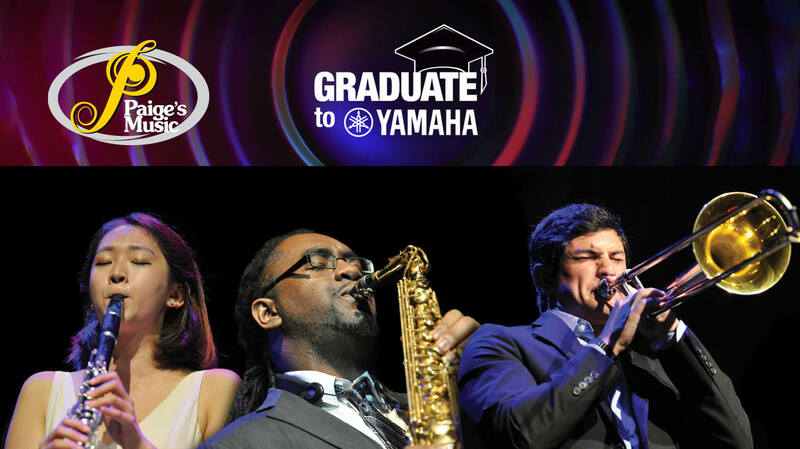 Yamaha is currently offering $50 rebates on all new intermediate-level instruments and $100 on all new professional–level instruments purchased between April 1, 2019 and June 30, 2019. We have an extensive number of qualifying models including flutes, clarinets, soprano saxophones, alto saxophones, tenor saxophones, trumpets, French horns, trombones, and euphoniums in stock ranging from intermediate to custom-level instruments in-stock. In addition to outright purchase, Paige’s Music offers many of these instruments on our famous Rent-to-Own Program (which includes free repair and replacement, exchange, return, and early purchase discount options), or on our 18 months deferred interest* option. There’s no interest as long as your balance is paid in full within 18 months. There are minimum payments due each month and our retail staff can help estimate what those might be. Please visit our store to work with our instrumental specialists to find the perfect model that suits your style. If you have any questions about this rebate promotion, please contact us by phone at 1-800-382-1099 or by email at sales@paigesmusic.com. *18 Months Deferred Interest subject to credit approval and applies to Yamaha instrument and accessory purchases of $399 or more. Not applicable toward existing account balances or repairs. See store for details.